Defending K1 world champion Jessica Fox led the way for Australia on a day of strong performances at the 2018 ICF Canoe Slalom World Championships in Rio, Brazil. Fox continued her outstanding 2018 season with the fastest time in the women’s K1, posting a time of 94.14 to finish ahead of Rio 2016 gold medallist, Maialen Chourraut of Spain, in 95.96, with Slovenia’s Ursa Kragelj third in 96.23. 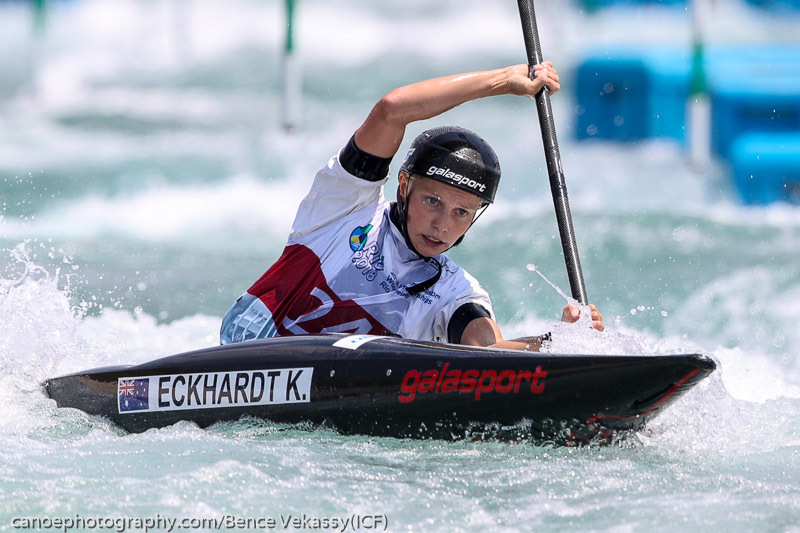 There was also good news for Kate Eckhardt (TAS) in the women’s K1, and Daniel Watkins (TAS) and Ian Borrows (NSW) in the men’s C1, with all three qualifying for Friday’s semi-finals on the first day of the individual events. Fox admitted to some nervous moments ahead of her return to the course where she won Olympic bronze two years ago. “It’s nice to be back, I had some good memories from here two years ago,” Fox said. “Obviously with Rio, it was amazing to win a second Olympic medal. But I was left a bit frustrated because I felt like it wasn’t my best race. Australia remaining trio of semi-final qualifiers all needed to rely on second runs to progress, but all three showed major improvement. Eckhardt was sixth quickest on her second run down the tricky Rio course. “Its always pretty nerve wracking doing a second run,” Eckhardt said, who qualified for her first World Championships semi-final. “This race has been a little more open because of how technical the course is. I was really happy with my paddling, but still have some things to work on. Watkins picked up three gate touches on his first run, which cruelled his chances of automatic qualification, but put in a clean second run to qualify third fastest for Friday and his first World Championships semi-final. 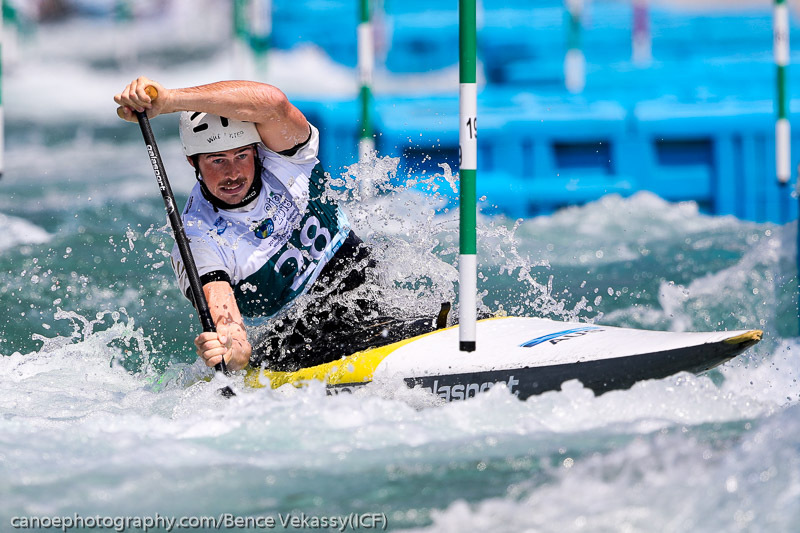 “It’s my second World Championships in the C1 and my first semifinal so really happy to be there,” Watkins said after qualifying for his first Senior World Championship semi-final. Borrows, paddling on the water where he made his Olympic debut two years ago, was also clean on his second run to finish eighth fastest. “It’s not really the way you want to go into it (the semi), but we got a second trial on the water which is always good and I’m looking forward to the semi on Friday,” Borrows said. “We’ve had a good camp here the last two weeks, some good water time and lots of training. It’s been really good and veryone has been looking forward to racing,” Borrows added about the preparation in the lead up. Rosalyn Lawrence (NSW) and Brodie Crawford (WA) both missed qualifying on Wednesday. Lawrence will get another opportunity when she takes part in the C1 on Thursday. 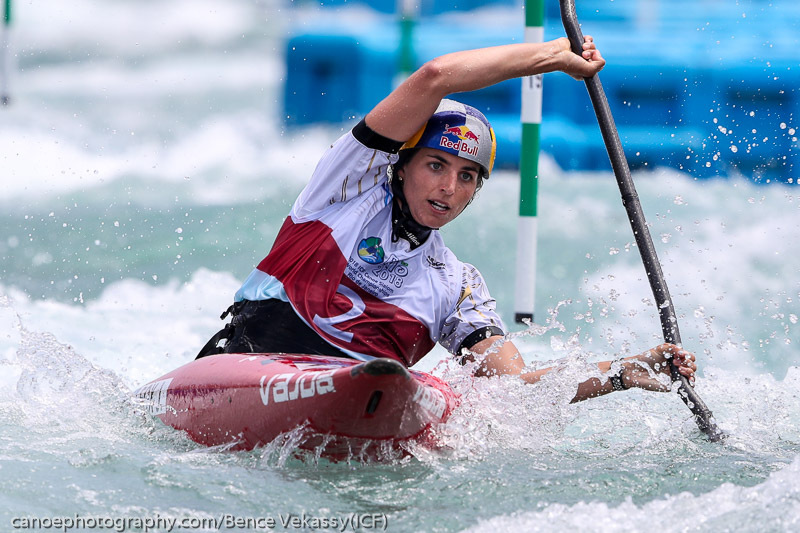 The 2018 ICF Canoe Slalom World Championships continue tonight with heats in the men’s K1 and the women’s C1.